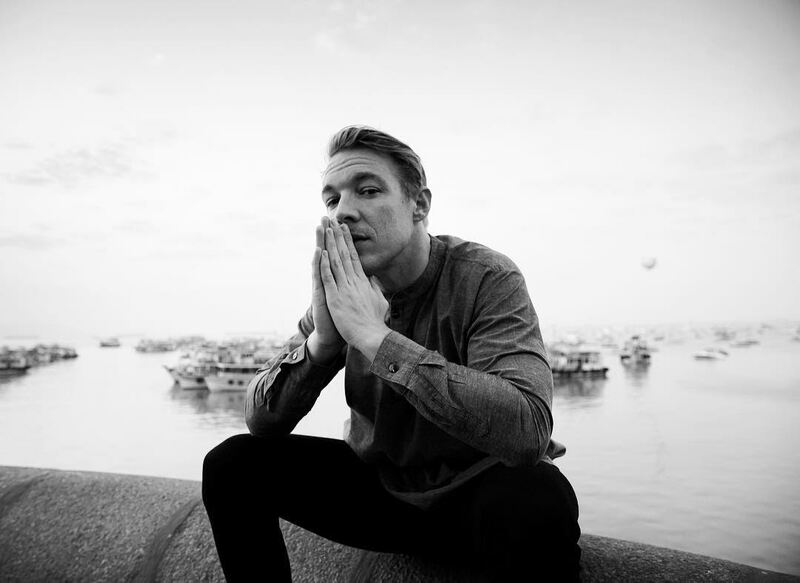 Diplo defies any common convention. You might call him a DJ, or maybe you think of him as a producer, songwriter, or performer. You’d be right across the board. He’s the guy that helped catapult M.I.A. to international success with “Paper Planes,” defined electronic dancehall music with Major Lazer, and relaunched Justin Bieber with the help of Jack Ü, a collaboration with Skrillex. When he isn’t touring all over the world, “never play[ing] the same set twice,” Diplo calls Los Angeles his home. This weekend marked his 38th birthday which he celebrated in true raucous form on the rooftop at The Hollywood Roosevelt. It was the perfect chance to catch up with the man who has been busy across the United States, Cuba, Asia, Europe, and everywhere in between. There’s Diplo, Major Lazer, Jack Ü, and of course, Mad Decent. How do you balance all of these creative projects, touring, press, and finding time to create more music? Everything is part of the process. If I don’t make music and do press, I can’t tour, and I’m always doing all them. When [I’m] on the road, I’m making music or in the studio doing press like right now. In an interview last year, The Fader called you “pop’s problem child” and I wonder how you would respond to that? I think I was just always a problem to categorize. And I never did the easy thing. I’m happy to make as much noise as possible. Your work draws so many different influences. Where do you go for inspiration? Haha just trying to find time to explore as much culture and music as I can. And collaborate with as many people was possible… that’s the most inspirational. Do you have any one thing or few things that you always take with you on tour? Man, I try and travel light. I wanna be in and out of airports… just always fresh clothes and as [many people as I] can to help me set up mobile studios or grab healthy food on the road. I've never played the same set twice. 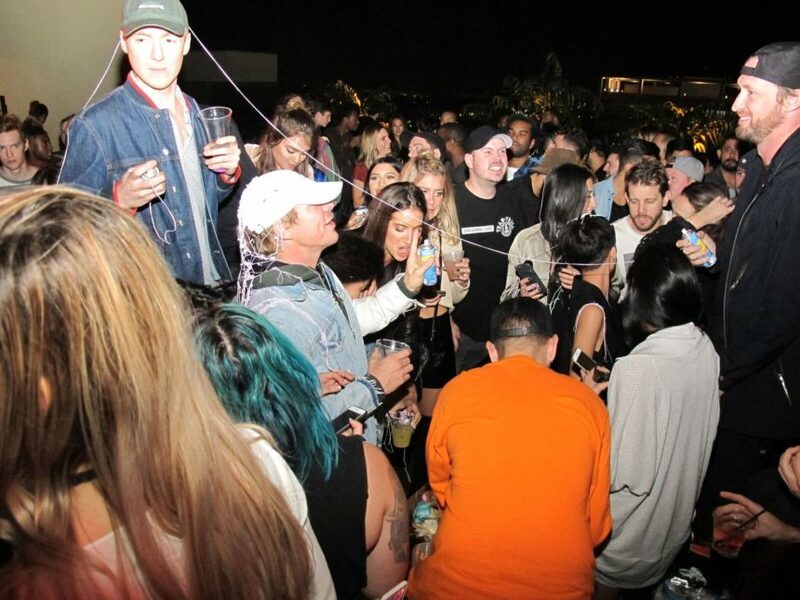 + Diplo gets silly stringed at his birthday party on the Rooftop of The Hollywood Roosevelt. Lead image via Diplo. How do you maintain a healthy lifestyle while traveling so extensively? You can be healthy anywhere, there’s always a way, just don’t be cheap and lazy. The main thing is finding the most sleep time. When you go from place to place and you’re performing all over the world, do you feel like the environment impacts how you play? Is there a local flavor put into a set in Cuba that you might experience differently in LA? Always… I’m a DJ at heart. I read the crowd and I try to remix the local hits as much as possible. What do you do when you’re home in LA? Are there any spots that you have to hit on your downtime? Just with my two sons here. I just moved to Beachwood Canyon so I’m here trying to find the best places in my neighborhood. If you could do one thing instead of (or in addition to) what you’re already accomplishing, what would it be? Man, I’m always trying to make everything as good as I can and stay busy, but that’s a good question. Maybe just be spending all my time reading and writing. Follow Diplo on Twitter and Instagram.